Raise Awareness and Take Action! Hereditary Hemorrhagic Telangiectasia (HHT) is a genetic condition affecting up to 1.4 million people worldwide. HHT is treatable, but no cure is yet available. Watch this video to learn about HHT and what you can do to help. This Cure HHT Infographic provides the need-to-know information on rare diseases as a whole. 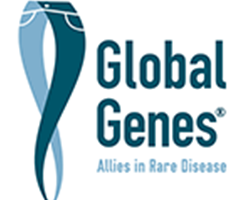 Download and print this fact sheet to help us spread the word about rare diseases and how they affect our community. Our HHT community may be small, but we are mighty. There are a number of HHT events with a focus on raising awareness, educating the public and empowering all to act on behalf of this disease. Want to learn more? Check out our upcoming events page. Share your story with your family, your friends, your neighbors, your office, your school and your local news. When you share your story, you are joining thousands of others across the world to spread awareness about HHT. Check out how to Share Your Story to learn more and to get started. Did you know that $1 donated to Cure HHT means $.93 goes towards HHT research, education programs and treatment options? Did you know that the majority of funding for Cure HHT comes from individuals? That is why we need YOU to join us in raising money for a cure. And when you fundraise for HHT, you are raising awareness about the disease. Join us and Fundraise for a Cure! The more you talk about HHT, the more patients, doctors and scientists learn about HHT. securing a cure for all HHT patients across the world.